Q&A: Andrea Thiele | Paint. Draw. Blend. We met artist Andrea Thiele during a recent trip to Germany. 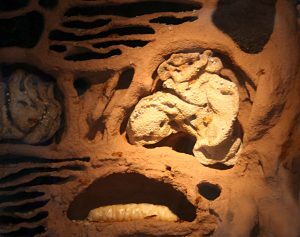 She told us about a very interesting project that she worked on with Senckenberg – Museum of Natural History in Frankfurt, where she used PanPastel as one of the most important materials for the project. So we invited her to tell us more about that project and her work in general. The first things I drew or painted were nature and animals. And to this day this is mostly what I want to paint and what interests me most in my art. I love nature and I am interested in science. First I wanted to study biology but then I started design studies. There I also had the chance to learn about scientifical graphics and to combine my two passions. I am always looking for new techniques to describe or represent what I see in nature and animals. There is so much that I can get lost just watching small details. I do illustrations and I draw and paint using a lot of different techniques. Such as with pencil, watercolours and acrylics. I also do computer graphics. But I prefer to paint with my hands. My range goes from very detailed realistic paintings but sometimes also to more expressive paintings. I like to work with details, and nature offers so many forms, colors and surfaces that I will always have something to work on. So I was very lucky when I got the commission from the Museum of Natural History in Frankfurt, Senckenberg, for coloring models of “Paleoglobes” which show the different time periods of the Planet. On them I could draw the rich details of the landscapes and travel in time a bit. 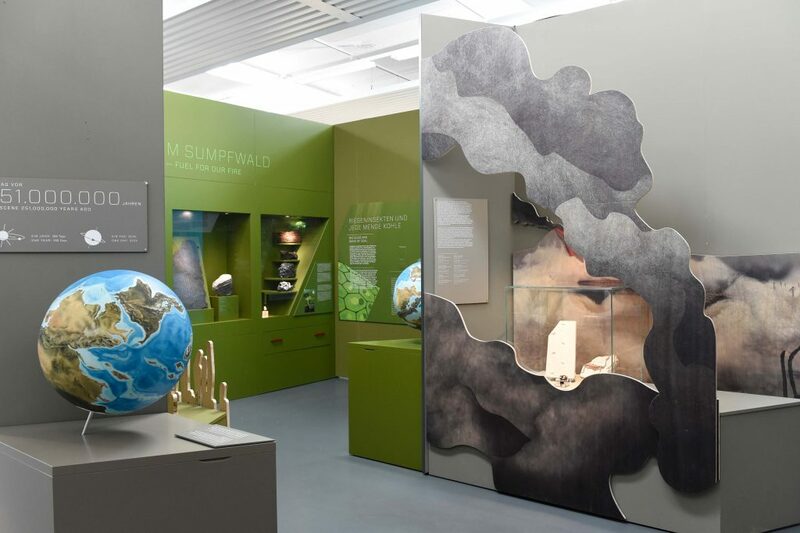 The Paleoglobes were made for the Planet 3.0 exhibition in 2012 which was about the climate change in the past and future of the earth. I see new inspiration in nature and try to think about how to represent the character best. Then I choose the material that I would like to work with. 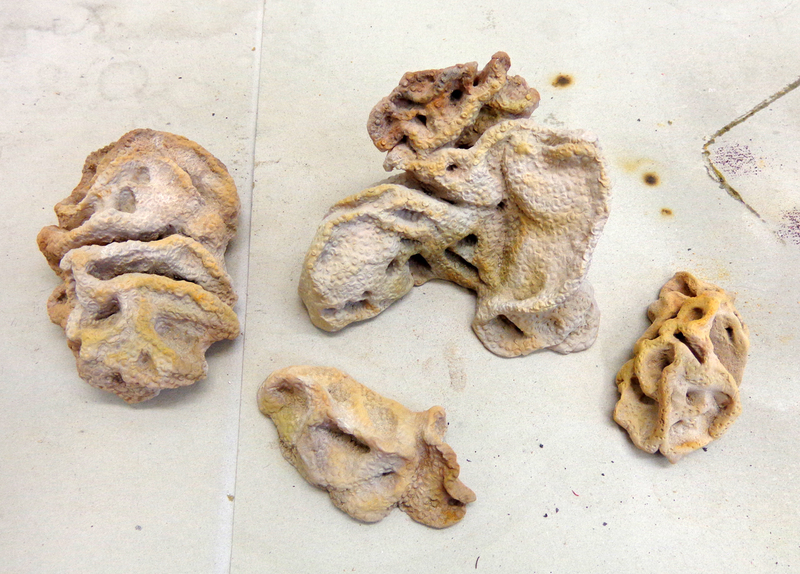 I experiment a lot with new materials and with mixed media, so I can find the right effect for natural structures. 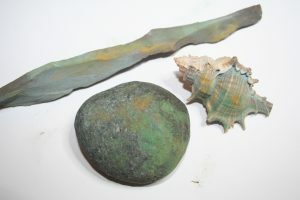 The first time I used them really not just for experiment was with this Paleoglobe Project. (Before that I had used PanPastel for rough sketches of animals with and also combined them with watercolour for book illustrations). For the globes I needed something suitable for a very rough surface. 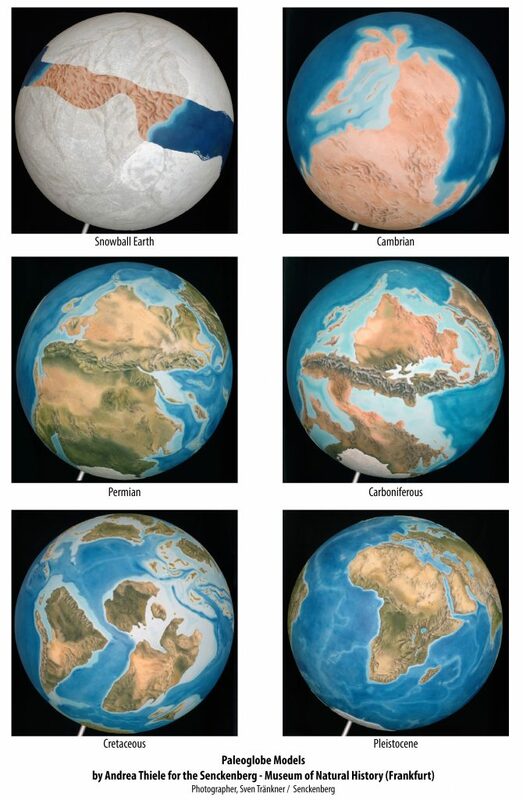 Because the landmasses of the globes were made with a rough sandy texture so that blind people could touch and feel where the land and ocean were. On the scientific template of the earth time periods I had to add a lot of undulations. With a wet colour on this difficult surface it would have taken very long to paint it. Then I remembered my earlier experiences with PanPastel. So I made some tests with them on the textured surface and it was easy to blend the colours into each other and to work in layers. I worked with a pastel brush. Because the hair of the brush worked with the rough surface well and reached into the cracks and crevices. I like the way you can create soft blended marks and shadows. And that I can work with them in very thin layers. Right now I am making more landscapes. I am fascinated how easy and beautiful it is to make structures and shadows in landscapes with PanPastel. 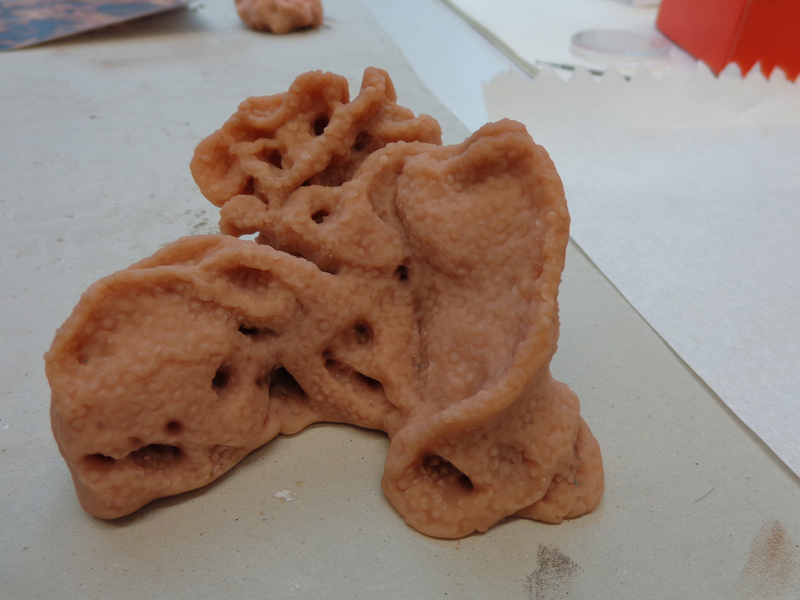 But I will also experiment more in using them on new surfaces. Editor’s note: the shading shown in the following globe images is created using PanPastel Colors. I use them for models made of polymer clay. 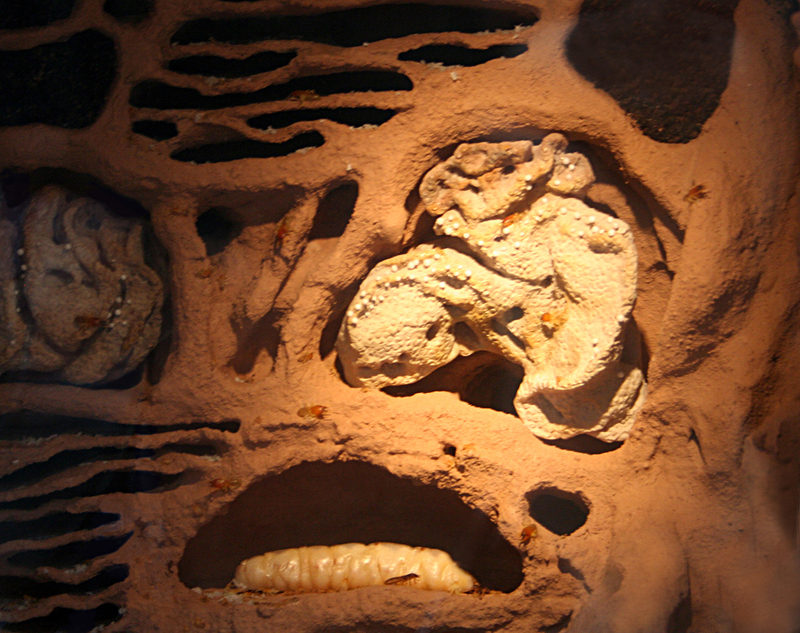 I made a part of a termite hill for another exhibition. 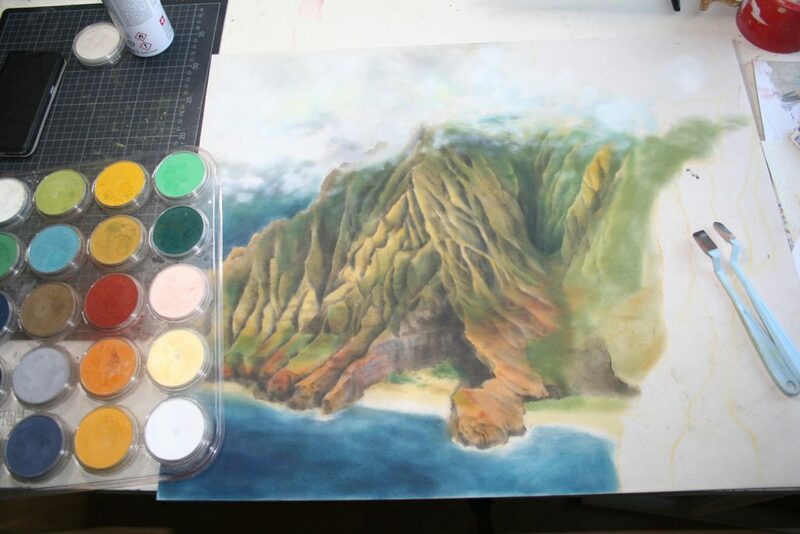 It was very easy to paint with PanPastel because I could create a realistic matte look for the termite hill. Yes because they are so versatile and easy to put on. They look very natural and matt. You can combine them with other media to get the right effect. Exactly what I need for experiments on effects in nature. 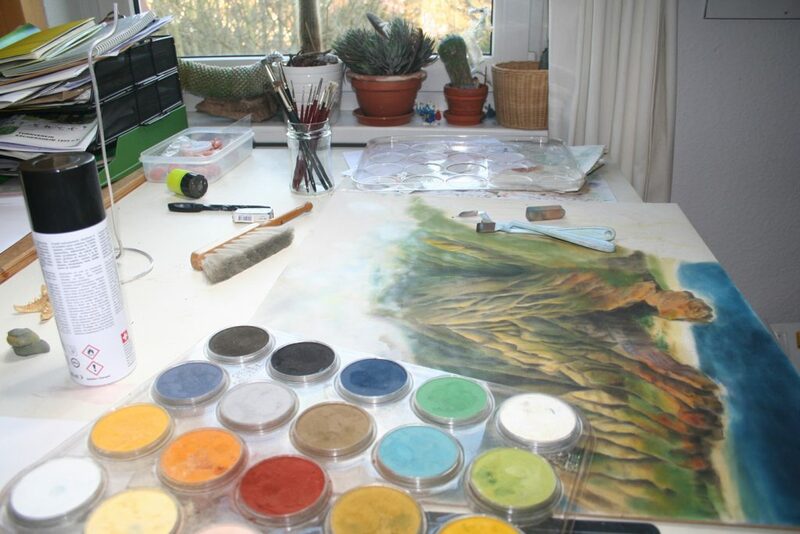 I like pastel ground because the pastels look even more soft and like velvet when using PanPastel. Using pastel grounds you can apply PanPastel to almost any surface including 3-D.
It’s very spontaneous, you don´t need a lot of preparation to achieve a professional look. You can blend the colors very smoothly. I love the Colourless Blender to make thinner layers and to blend even more smoothly. The Colourless Blender is great for smooth blends and thin layers. And the use of stencils for sharp etches when drawing shadows. 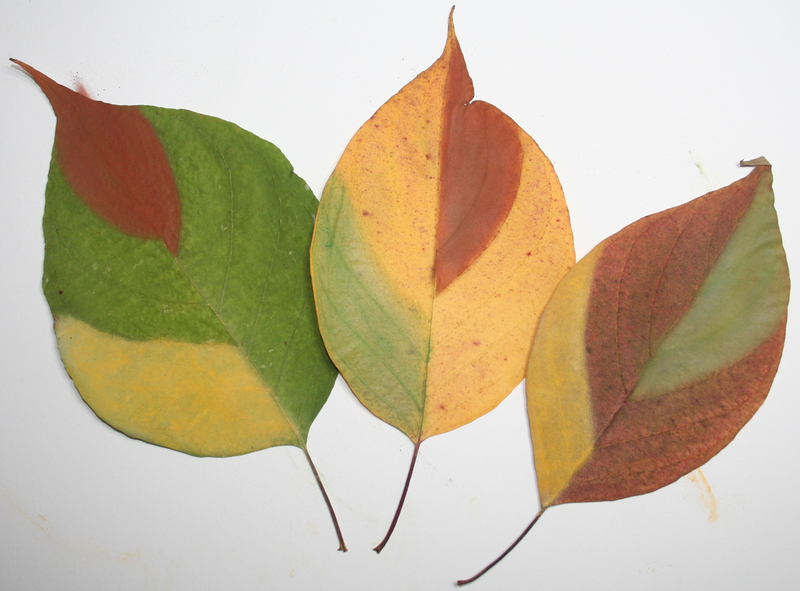 On difficult surfaces the PanPastel Colors are a real benefit. It’s very small, just a room in my apartment. I would like to share a larger room with other artists also to have some exchange. I am happy when I can work in the museum because it’s very interesting there. 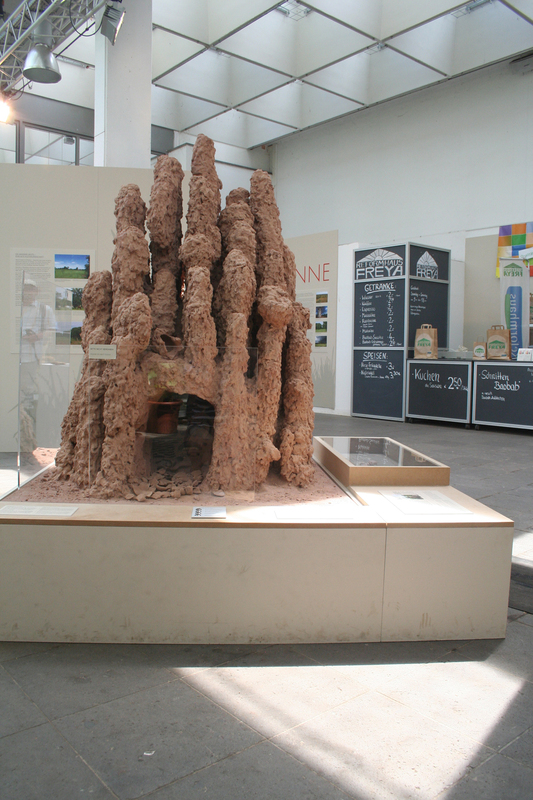 Natural science, exhibitions, documentaries, animals and plants. I like Tiffany Bozic. When I can learn something. And when I can explain nature through art. I also like to share my experience and I had the chance to do so when along with my colleague from the museum we gave a lecture including a workshop about our experiences with PanPastel. The professional audience included preparators and taxidermists from other museums and students from the Preparatorschool. We talked about using PanPastel on objects and natural materials like shells, stones feathers etc. At the workshop everyone could try PanPastel Colors on various objects and we could show our techniques. 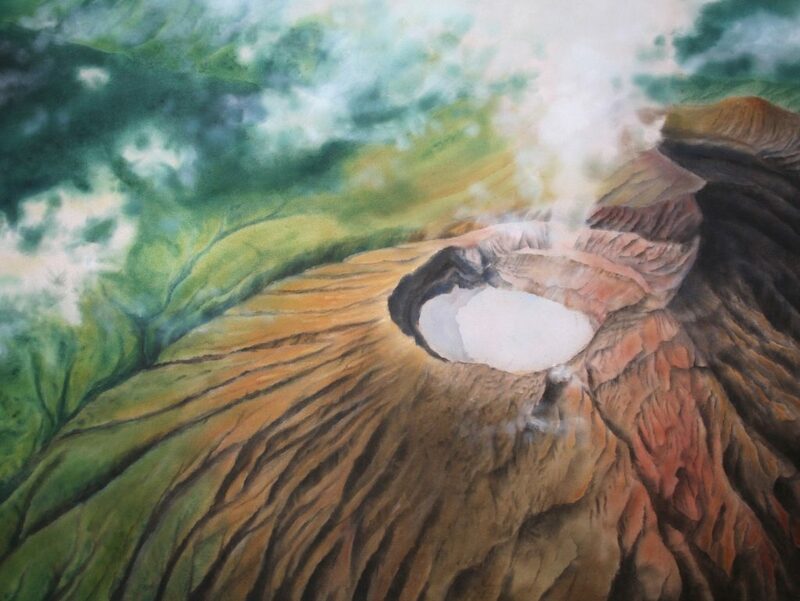 I would like to do a mural with PanPastel, maybe a prehistoric landscape. 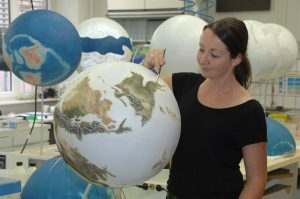 Or to paint the planets of the solar system like the globes. And I will make some models, at the moment I am making a prehistoric tree out of polymer clay. To go out in nature. Explore wildlife and travel. I would like to go diving. I wish I had my own garden and I could work with animals. We had a book launch in 2016. It’s a children’s book called “Submarine Captain Nauti” and it has also been published in English. 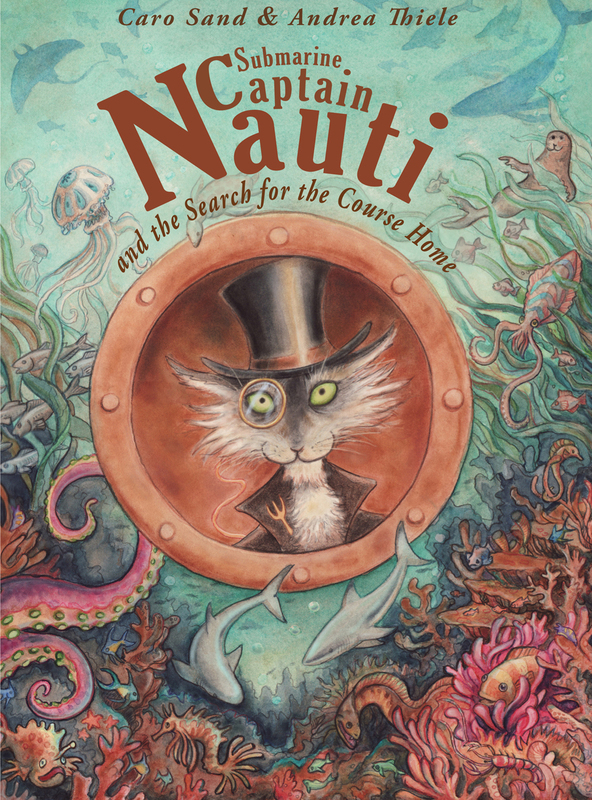 Its about the tom cat, Captain Nauti who is Neptune’s first and only submarine captain. I like the story very much because it’s an adventure in the underwater world with a lot of nature in it for me to illustrate. Andrea studied graphic design at Rhein Main University, Wiesbaden, Germany. And is a currently living in Frankfurt, she is a freelance Graphic Designer, Illustrator- mostly in scientific graphics, including projects for exhibitions in natural history museums.